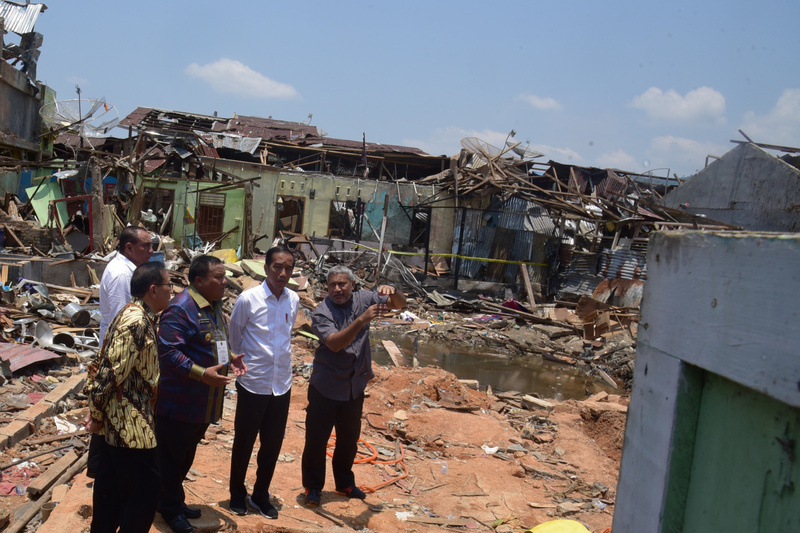 Rehabilitation of residents’ houses affected by Sibolga suicide bomb blast so they are ready to be occupied again is the most important thing to do now, according to President Joko “Jokowi” Widodo. “I have instructed Minister of Social Affairs to visit this place today. 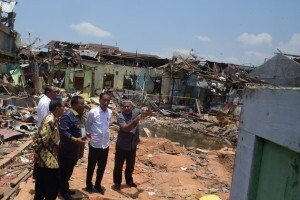 For now, I will distribute some assistance (to the residents affected by the bomb),” President Jokowi said while instructing Commanders of Military District Command (Dandim), Commanders of Military Region Command (Danrem) and their subordinates to help Sibolga residents, in a working visit to Sibolga blast site, on Sunday (17/3). For the record, the Government will disburse Rp1,451,000,000 to provide cash assistance to rehabilitate houses affected by the blast with these following details; Rp25 million for severely damaged houses, Rp5 million for moderately damaged, and Rp3 million for minor damage. In the meantime, Mayor of Sibolga Syarfi Hutauruk mentioned that 151 houses have crumbled, while the other houses of 171 households were damaged by the bomb; the damage ranging from minor, moderate to severe. Also on that occasion, President Jokowi expressed his disbelief over suicide bombing detonated by Solimah, the wife of terror suspect Husein aka Abu Hamzah at her house in Sibolga Sambas Sub-district, Sibolga, North Sumatra, on Wednesday (13/3). “Sibolga has long been known as a peaceful and harmonious city for years. There is no room for conflict and blasphemy since religious harmony is well maintained,” the President added.